My name is Javier and I am a Mechanical Engineer from Spain. My interests range from the design and construction of vehicles and industrial machinery to renewable energies and computer algorithms. In conclusion, everything that involves R&D to the real world. What is Linux for an Engineer? This blog started as an attempt to prove that everyone could do engineering on Linux with open source tools (with just a little more of effort), but it rapidly converted into an almost FreeCAD only site. But that is because FreeCAD is awesome! Thought it is a bit deviated from the original idea, I am happy with the result, with +25k views in the first year and a lot of positive feedback. It also seems that I can write my English a bit less clumsy, another big achievement (and the original idea of this blog)! Also, this blog differs from others: it is a Source of Information. Almost all the blogs you may find on the internet are talking about what other people did or made, or they repeat what has been repeated everywhere. My intention with this blog is not to accumulate views but to contribute back to the knowledge that the internet has given to me. As this blog gained some popularity, I was invited as speaker to 3D related events. 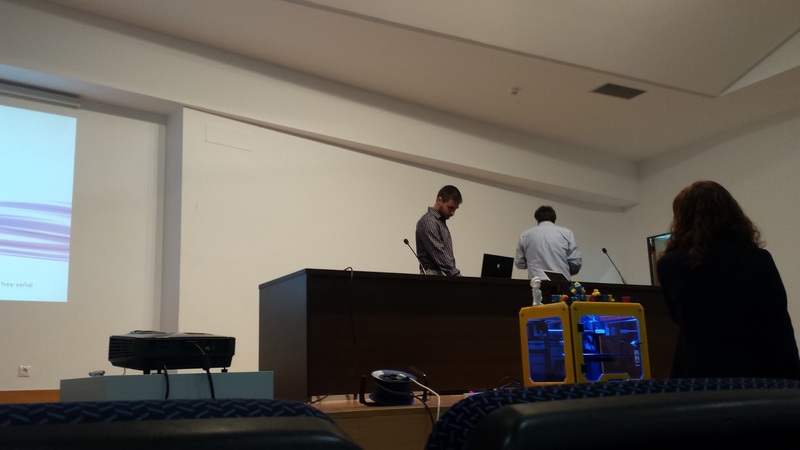 The first one, at Valdepeñas was a very interesting experience, were I exposed FreeCAD to the common public. Later, I was requested to do a small workshop at the Zaragoza's Maker Show, and there I had some time to even do some python scripting. The same happened in another workshop at the Alicante 3D event, and finally, the thing got serious and I went to Pordenone, Italy, to perform my first talk in English. At all them I have received very positive feedback and I have met very interesting people related with the 3D world, the Open Source and the general industry. If you need someone to talk about FreeCAD, just get in contact with me with the email provided below.